I have come so far thank you to the Certified Business Analysis Professional certification mock tests. It was a nice journey. Got so much practice with so many CBAP questions. I like the unlimited attempt feature also. It realizes me that i should practice more every day. Practicing on mock tests online daily helped me clear my doubts about the topics viz. 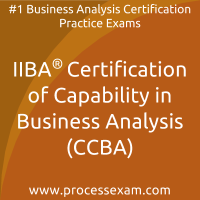 Requirements Life Cycle Management and Requirements analysis and design definition in the syllabus of CBAP certification exam automatically without special efforts. 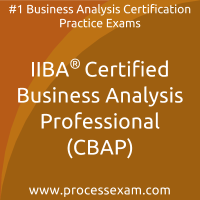 Business Analysis Professional practice tests gave good exposure and are indebted to them.